Our search for a lesser-known Japanese dish. 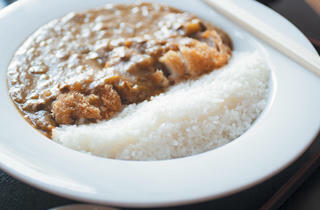 The challenge In a land of Japanese restaurants that traffic primarily in raw fish, find authentic katsu curry. 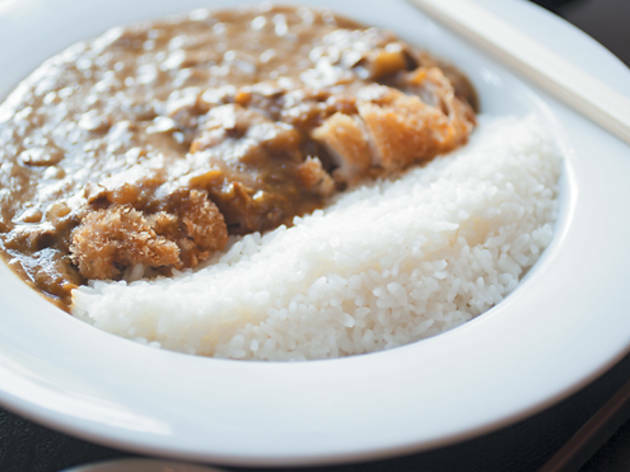 The hunt Katsu curry—a fried pork cutlet topped with Japan’s version of curry sauce and set neatly alongside a pile of rice—is the stuff of major cravings. So we started our hunt with people we figured probably had a relationship to the dish: chefs who cook Japanese food. In a word, that got us nowhere. Sushi chef B.K. Park, who is working on a restaurant with Jason Chan, admitted he only eats curry in Indian restaurants. He thinks it’s more of a home-cooking dish. “I’ve never had it in a restaurant,” he said. Shin Matsuda, the chef at the new Arami Go!, noted “the newer Japanese restaurants, I haven’t really seen do it.” There was a glimmer of hope when Matsuda noted his former employer, Takashi Yagahashi, served something like katsu curry at Takashi’s Sunday noodle meals. But that hope died when we realized Takashi recently stopped doing Sunday noodles. “They have one out at Mitsuwa [the massive Japanese grocery store in Arlington Heights],” Matsuda told us, “and at a small izakaya in Elk Grove Village, Kuramaya.” Good tips, but we were looking for something in the city. The find Turns out we were barking up the wrong tree. The person who led us to good katsu curry was not a chef at all, but some American dude who got hooked on the curry when he spent a year and a half in Japan teaching English. “It was the least elegant Japanese food I’d seen,” Ed Siemienkowicz (who occasionally contributes illustrations to TOC) told us. “Half a dish of curry, like a black sea of it, butted up against a shore of rice at exactly halfway on the plate.” But after trying it, Siemienkowicz was hooked. Upon his return to Chicago, he sought out the curry everywhere, but he found that most of the Japanese restaurants he visited weren’t even owned by Japanese people—and thus they didn’t traffic in lesser-known Japanese dishes. But, “I found two that I love,” he says. Sunshine Café (5449 N Clark St, 773-334-6214) and Cocoro (668 N Wells St, 312-943-2220). The latter had a telltale sign of authenticity: Japanese tourists. When on a hunt, it pays to follow them.